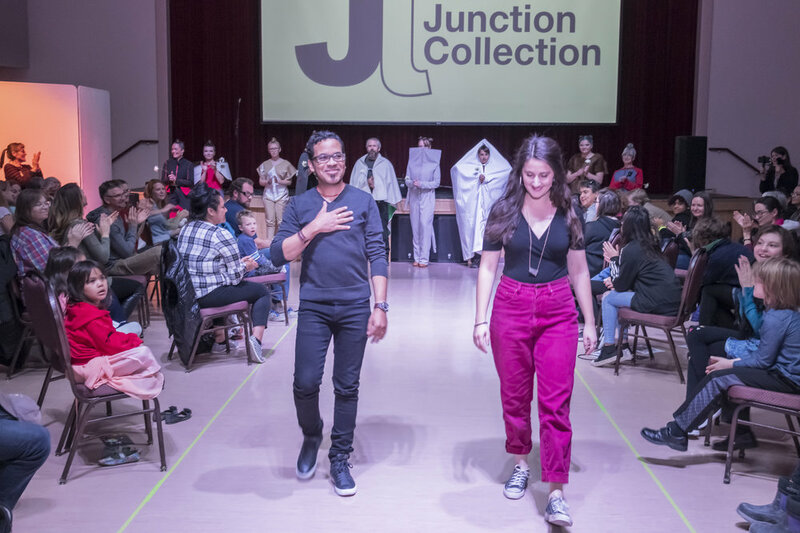 Fashion designer Henry Navarro’s Yukon project “The Junction Collection” forged an empowering community bond that has continued to be impactful since its completion. 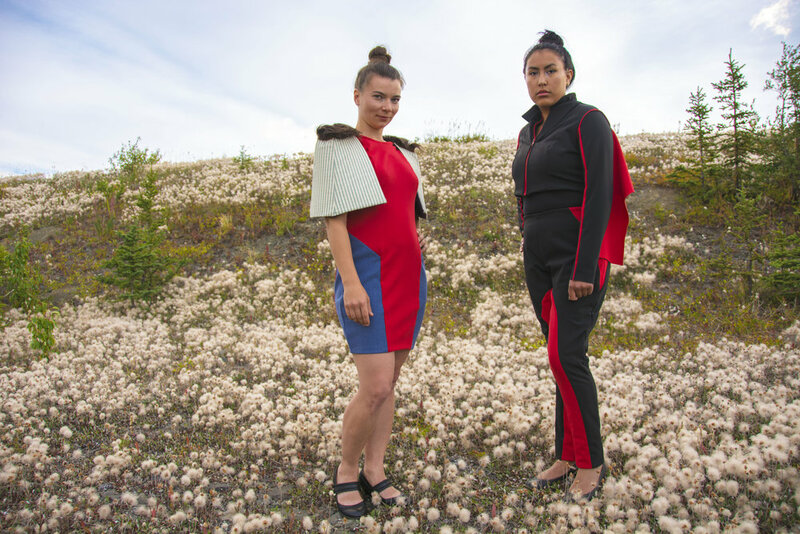 Navarro, who was born and raised in Cuba, spent his summer living in the Haines Junction, a village in the Yukon, while creating a site-specific fashion collection. He arrived in the Yukon as part of the Junction Artist in Residence program. The program allows artists foreign to the community to immerse themselves in their culture and way of life. Navarro, who is also a fashion professor at Ryerson University, said he wanted to give back to the community for kindly welcoming him during his stay. He decided to offer workshops in areas of his expertise, such as branding, marketing and applying for grants. Navarro said that the details of his project and workshops were purposely not set in stone until he arrived on site. “As part of my project, I (wanted to) negotiate what the community will need from me as (not only) a multidisciplinary artist, but also as a scholar and as a fashion activist,” he said. Navarro’s attentiveness during his stay in the Haines Junction not only benefited his work, but also helped him bond with members of the community. By listening to their needs, their stories and their legends while planning his workshops, he was able to find inspiration for his collection. He said that many of their approaches to life were not only inspiring, but they also resonated with his own approaches to design. Navarro also found inspiration within the village’s ‘dangerously beautiful’ atmosphere. He explained that the village’s coexistence with wildlife is a significant part of the community’s lifestyle and played a role in his project. Navarro also found himself fascinated by the smallest things during his stay, such as how residents take their garbage out. In the Haines Junction, residents separate their trash and take it to a facility that processes it, as there are no garbage pick-up privileges. This, Navarro said, forced him to think of consumer culture and his own consumerist choices in life. The Haines Junction community is home to both First Nations and settlers. The absence of reserves makes the community somewhat unique. Navarro said that there is a lot of benefit in First Nations and settlers coming together and collaborating. “So the project was an example of what that can be, in a way that is respectful for everyone involved in the process,” he said. Guillemette - who works in environmental assessment - took part in Navarro’s work by modelling one of his designs in a fashion show in their community. She said she gained a new appreciation for the things in her community that she may have started taking for granted. “It was a refreshing way to look at the place I’ve been living in for a long time,” she said. According to Guillemette, being an active part of Navarro’s project was exciting for everyone, because he ensured that the community was involved in every step of the process. The climax of Navarro’s project was the fashion show, which Guillemette modelled in. She said the show consisted of more than just the runway. It also showcased many talents in her community, which came together to create one homogenous event. Guillemette described walking down the runway in Navarro’s design as empowering because of the deep connection between the collection and her community’s lifestyle and environment. “I felt very strong. I was able to look at the camera with power in my eyes and in my body,” she said. The design that Guillemette modelled is called the ‘Brush House.’ It was inspired by a specific house construction method prevalent among Yukon communities known as the brush house method. This construction technique places fire in the center of the house, primarily for heating purposes. Navarro said that the red in the middle of the dress not only symbolizes fire, but further symbolizes women as the fire of the Haines Junction village. He believes that women are the most important element of their traditional society. Guillemette’s feeling of empowerment came full circle in Navarro’s Brush House design and in his career objectives as a whole. The designer successfully created his dress with the idea of female empowerment. Much of the artist’s work outside of “The Junction Collection” is geared towards making fashion accessible and empowering for everyone. Site-specific projects carry a significant amount of responsibility, as it is necessary to ensure that everyone is respected, properly understood and well-represented. For ‘outsiders’ like Navarro, it can be especially challenging to break through cultural and linguistic barriers. However, Navarro successfully proved that the benefits of undertaking site-specific projects go much further than the challenges. To learn more about the Junction Artist in Residence program, visit their website and Facebook page.